Medtronic has secured 510(k) clearance from the US Food and Drug Administration (FDA) for its Kyphon Xpede bone cement to treat sacral fractures. The expanded indication aims to fix pathological fractures of the sacral vertebral body or ala using sacral vertebroplasty or sacroplasty. By using a cementoplasty procedure, the Kyphon Xpede bone cement can be used for the treatment of vertebral fractures due to osteoporosis, cancer or benign lesions. The Kyphon Xpede is a quick-to-dough bone cement that can be paired with the Kyphon Cement delivery system to help clinicians reduce their radiation exposure from the radiation source during injection. 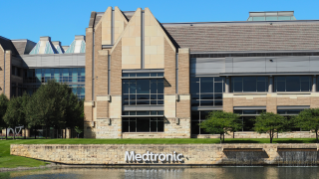 Medtronic restorative therapies group’s interventional pain therapies business general manager Jeff Cambra said: "We are pleased to expand our therapies for interventional physicians treating osteoporotic patients to include those suffering from sacral insufficiency fractures. "As the pioneers in balloon kyphoplasty for treating vertebral compression fractures, this expanded indication for Kyphon Xpede Bone Cement demonstrates our long-term commitment to continuously innovate and empower physicians to deliver the best clinical solutions to their patients." In addition, the firm received FDA approval for its Melody transcatheter pulmonary valve for implantation in patients with failed surgical bioprosthetic pulmonary heart valves. Melody TPV, which is specifically designed for the pulmonic position, is claimed to be the first transcatheter pulmonary valve to secure approval in the US. Through using Ensemble II delivery system, the Melody TPV will be placed inside a failing pulmonic surgical heart valve.